Variation – Media Art Fair is the first French contemporary art fair dedicated to new media artists. Variation is the result of the collaboration of major figures in the contemporary digital art market: Anne-Cécile Worms, who is the producer and founder of Start-up Art2M / MCD, chaired by Ada Fizir, and also Dominique Moulon, exhibition curator. Created in 2014 by Art2M, MCD and Next Day, this exhibition-sale showcases the French and international digital contemporary arts scene, featuring landmark artists, both established and emerging. In three editions the exhibition welcoming 50,000 visitors, 180 artists and 350 artworks. For this 4th edition, Variation – Media Art Fair occupies the white cube at “La Cité international des arts” located in Le Marais, an area known for its art galleries and collectors. Every edition, Variation presents a hundred artworks mobilizing the latest innovations that constitute an historical panorama of digital art. “ The production of this exhibition and Digital Week, a tour of digital fabrication around Greater Paris, are at the heart of our activities that combine art and innovation. Our structure produce connected objects and innovative materials created by artists; a MOOC for Paris called “MOOC Digital Media” that is co-created with EPSAA; and events in France and internationally with artists and makers.”Anne-Cécile Worms, founder et producer of the start-up Art2M. For this new edition, Variation – Media Art Fair reinforces its partnership by opening the Némo International Digital Arts Biennial. This year, Variation includes a co-curated historical section, thanks to the combined efforts of Dominique Moulon and Gilles Alvarez. ” L’Origine du Monde (Numérique)” revisits the three decisive trends of the late 1960s by presenting documentation enriched by artworks and historical artefacts. ” 9 Evenings: Theatre and Engineering ” is the first of these events, which takes place in New York in 1966. It spawned the group Experiments in Art and Technology (E.A.T. ), officially founded in 1967 by engineers Billy Klüver and Fred Waldhauer with artists Robert Rauschenberg and Robert Whitman. Parallel to the exhibition, ” 9 Evenings ” will be screened in the auditorium of the Cité internationale des arts on November 22, 2017. Also in 1966, on the West Coast, Maurice Tuchman initiated the Art and Technology Program at the Los Angeles County Museum of Art. It aimed to pair artists such as Andy Warhol with brands like Pepsi-Cola Company, which would actively participate in funding the U.S. pavillion at the 1970 World Expo in Osaka. In 1968, Jasia Reichardt curated the exhibition Cybernetic Serendipity (serendipity is also the theme of the Némo Biennial) at the Institute of Contemporary Arts (ICA) in London. This first show dedicated to the confrontation between artistic practices and electronic technologies included a piece by Nicolas Schöffer, which will be presented at the entrance of the Variation exhibition. To realize this three-part exhibition, Gilles Alvarez and Dominique Moulon are collaborating with the Robert Rauschenberg Foundation, the Los Angeles County Museum of Art, Jasia Reichardt and Éléonore Schöffer of Lavandeyra. A round-table discussion will be held in the auditorium of Cité internationale des arts on November 21, 2017 accompany the exhibition. “ The late 1960s saw an effervescence around the convergence of arts and technologies, spotlighted in various projects, groups and events. The Art and Technology Program in Los Angeles, Experiments in Art and Technology in New York, Cybernetic Serendipity in London. All had one point in common; they re-imagined the relationship between artists and the technological environment of their time. It was the age of motion in kinetic art, real-time in video art, aspects that artists from today’s open source cultures are reviving in new ways. ” Dominique Moulon – Curator of the exhibition Variation – Media Art Fair. 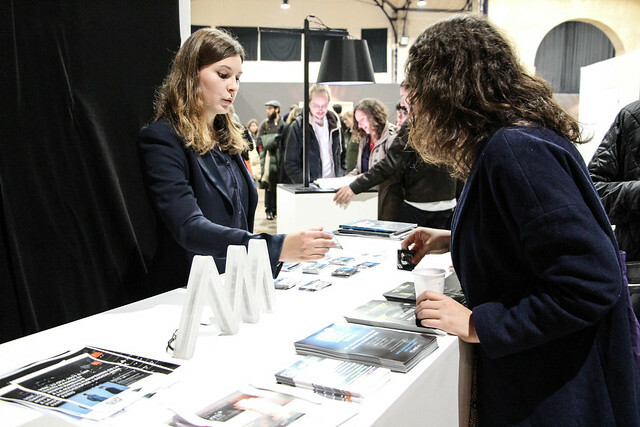 For the 4th Edition, Variation – Media Art Fair will be featured as the main event of Digital Week France™ – International. Digital Week is an event produce by Art2M, MCD and Next Day. The event will offer all visitors (collectors, gallerists, amateurs and young people) a tour of digital fabrication and digital contemporary art around Greater Paris. This year’s tour is focused on Parisian fablabs and innovative, creative entrepreneurship.Digital Week features 30 events, welcoming 15,000 visitors in 21 venues in the capital. The event will take place on November 15-25, 2017.